If only life were as simple as it used to be. Posting items a few times a week, tossing out updates, securing art, and making it all read like a short, pithy little stories. Not so much these days. But, there is news to share, which means it’s time for a long overdue post. 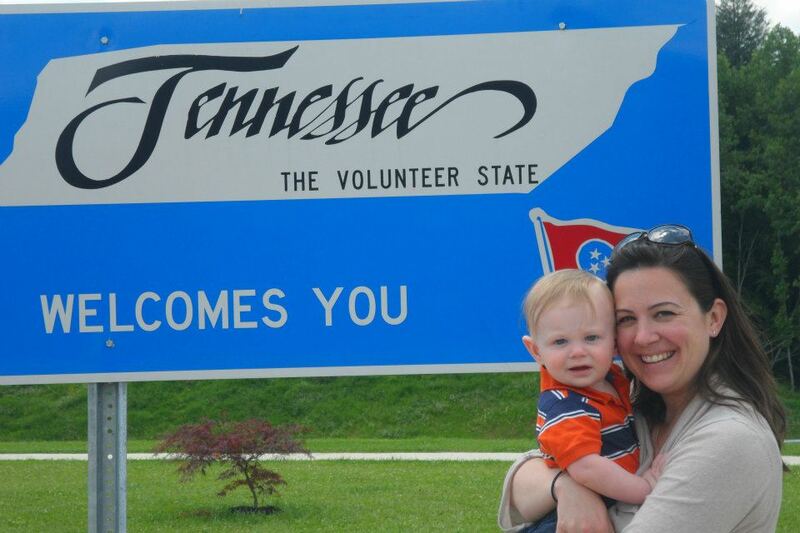 As if having a baby and producing, publishing, and marketing a book in one year weren’t enough… we’ve decided to relocate to Nashville, Tennessee. I’ve accepted a job to be the managing editor of a pub called Nashville Lifestyles — my family and I leave Boston in just 4 short weeks. Now, if you’ve read the book, you might be thinking, “Gee, that sounds an awful lot like the career she left way back when to go do this oyster thing.” And yup, that’s definitely true. But… and there is a big “but” here… things are different now. (His name is Charlie – aka: Poseidon — and if you haven’t met him yet, he’s pretty adorable.) Charlie is a major reason why I’ve decided to take this job and we, as a family, need to make this move. Not only will this move get us much closer to all of Charlie’s grandparents, but it will bring some much-needed stability and yes, even a little bit of sanity to our lives. We’ve been talking about a move to the South for years. For as long as Dave and I have been together, actually. Our parents are in Hilton Head, SC and Knoxville, TN. My sister is in Charlotte. We’ve always talked about raising our kids in the South and as soon as Charlie arrived, we knew we needed to make that happen pronto. This opportunity came up midway through the summer and after a phone interview and a whirlwind trip to the NL offices, I was offered the job and the decision was made. It’s time. After 11 years in this city, I can honestly say that it is officially time. The past year has been a trip. We went from living this non-stop, deliciously crazy, excitement-filled life to one that was suddenly dictated by a very sweet (and handsome) but very demanding little blonde dude. He’s always up for an adventure, sure. But letting his mom drop everything to go work on a farm or, ahem, giving her the luxury of sitting down to dwell over the nuances of blog post? Nuh-uh. The kid is not having it. This is, of course, all completely fine because a year into Charlie’s life, I can tell you that whatever he is doing, or picking up, or jabbering about, or pushing around with sticky fingers, or pulling himself up on, or watching, or sleeping in, or even breathing near is WAY more intoxicating than that old life we left behind. (I guess that’s what all the fuss is about.) It is hard to imagine anything better in the world than our life with him. Even if that means life without Boston. This year has taught me a few things about myself. The first, and biggest lesson, is that I desperately need structure. Structure makes me a better person, a better wife, and a better mom. It gives me the confidence that tomorrow will go smoothly and that Charlie will be a happier kid because of it. This new job will give me structure, as well as a creative outlet; it will give me a magazine to craft, and shape, and edit, and enjoy…much like a book would, only shorter and with more to offer the world on a regular basis. This job is a very good thing and I can’t wait to get down there and get started. But it will not be easy. I am not ready to say goodbye to this place or the people, who have become my family here. We are deeply rooted in this city: in its restaurant culture, music scene, media, and literary world. In its people, its politics, and yes, even its sports. We love this city and we always will. It will be forever burrowed inside of us and influence all that we do. But all of this makes the move even more exciting for both of us. The promise that we will get to know a new city and hopefully have the opportunity to fall in love with it just as deeply as we did with Boston has re-energized us. Dave will be making his way in Music City — a dream he’s had since he first started teaching himself guitar in Knoxville — and returning to his home state. I will be going back to a full-time career in media, a world I’ve missed (albeit sporadically) since leaving it that fateful day so many years ago. Yes, we’ll be closer to family but we will also be closer to a life that we’ve always wanted for ourselves. The only real question that remains is: Where will I get good oysters down there? Oyster bars? Brasseries? I’m open to suggestions…or perhaps a promise from my friends at Island Creek that they will one day open a Southern version of ICOB. A land-locked girl can dream, can’t she? For now, stay tuned. There is more news to follow (soon, actually) and plenty more oyster eating to be done.